Product Size :4.5" x 6.25"
Let your guests know of your wedding date with the Dapper Damask thermography save the date card from Marry Moment. 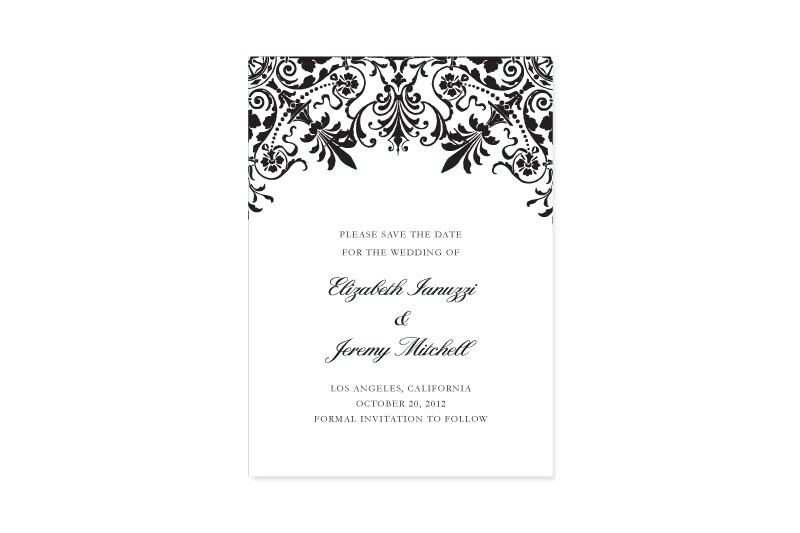 A lovely introducation to the Dapper Damask wedding suite, this formal card lets your guests know to start including your upcoming wedding in their plans. Thermography printed on 100% natural white, cotton paper and includes envelope. Available in eggplant purple, teal blue, and black.